MYRTLE BEACH, SC (WMBF) - Milder weather and increasing rain chances return to start the new week. Skies will be cloudy through the day today with a few bouts of light showers and drizzle at times. No heavy or steady rain is expected, but it will be damp at times. 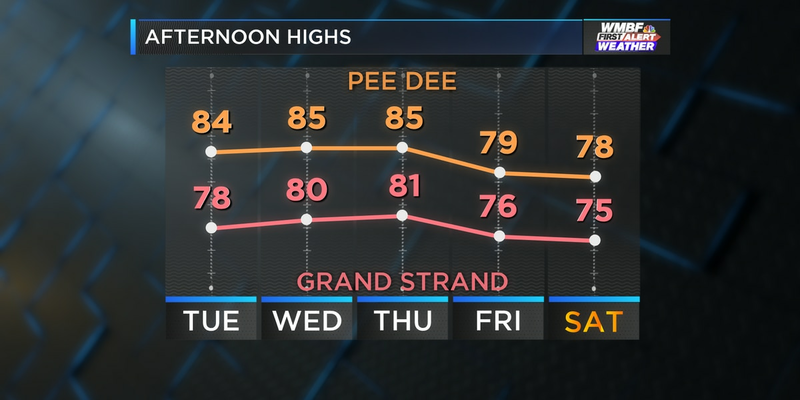 Temperatures will climb into the lower 60s near the Grand Strand, but remain in the middle and upper 50s across the Pee Dee. Tonight will see temperatures only dropping slightly with readings in the middle and upper 50s by daybreak Tuesday. 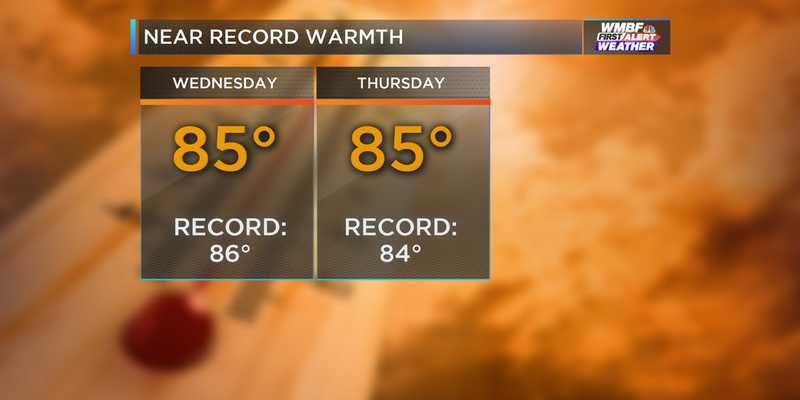 Tuesday will see a big warm up ahead of the next round of rain. 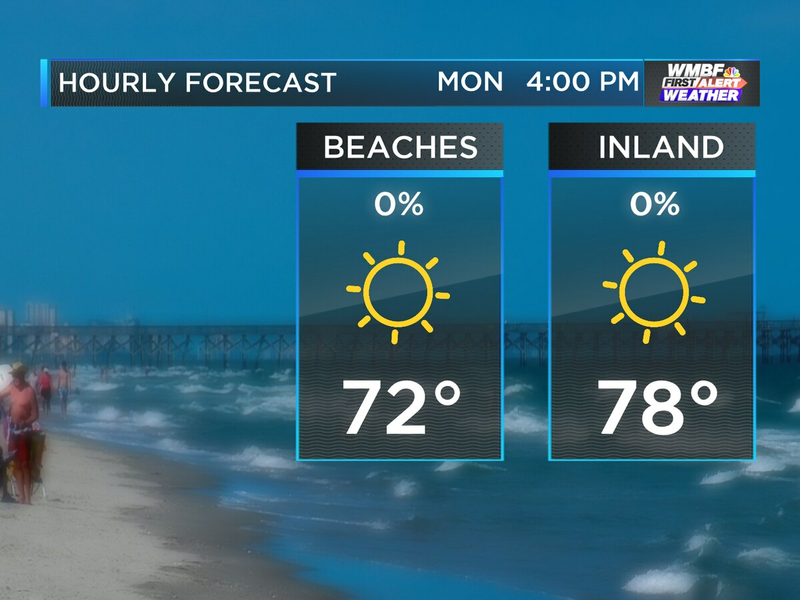 With mostly cloudy skies, temperatures will soar into the lower 70s across the Grand Strand and middle 70s in the Pee Dee. Tuesday will turn windy as well with gusts of 25 to 30 mph at times through the afternoon. By the evening hours, a line of rain and a few downpours will return. 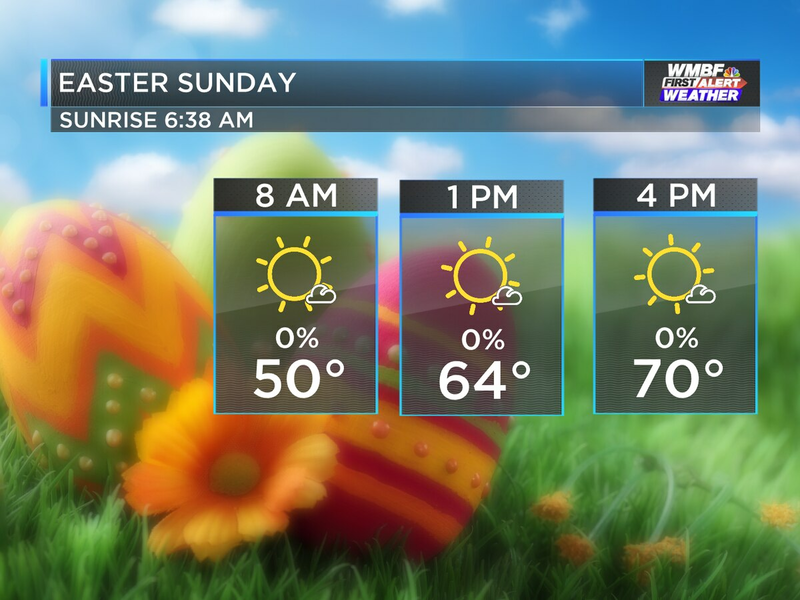 Wednesday will see a return to sunshine and tranquil weather with afternoon temperatures near 60. Another storm system will impact the region on Friday and early Saturday with a good chance of rain and another round of temperature swings. Temperatures on Friday will climb to near 70, then drop into the 60s on Saturday and back into the 50s by Sunday. Temperatures continue to climb ahead of our next storm system set to arrive before the weekend.